Congratulations to KCOH radio Personality Michael Harris – Houston’s “Top Jock” as he is called by his countless fans. On Wednesday, the dean of Houston radio was honored at city hall for his remarkable career and dedication to keeping listeners informed about current events. Dozens of Harris’ family members, friends and radio listeners packed into council chambers to watch as the mayor and council members took turns reading resolutions praising Harris and his work on KCOH radio. 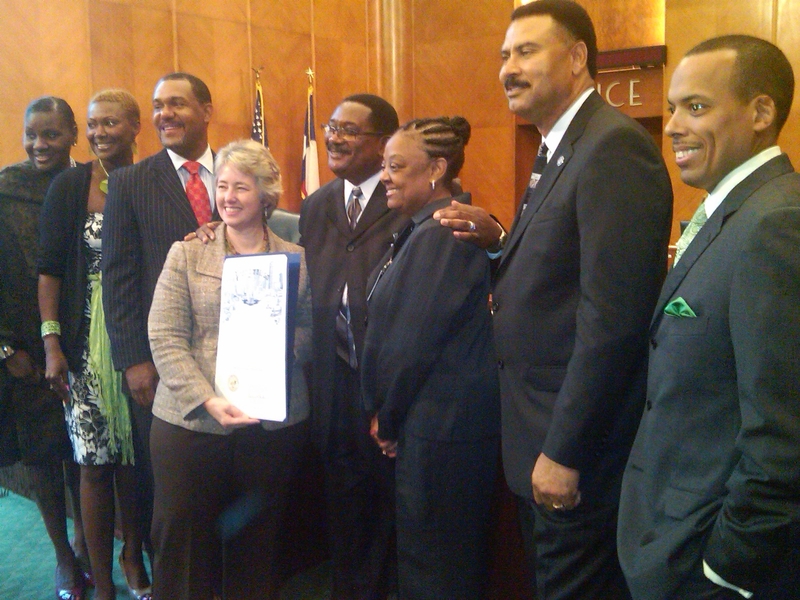 As if that weren’t enough, it seemed like council broke with protocol by allowing representatives from the offices of Congresswoman Sheila Jackson Lee, Congressman Al Green, State Senator Rodney Ellis and State Rep. Sylvester Turner, to present Harris with certificates honoring his many achievements. Harris has been a recognizable voice on KCOH radio for 35 years. Sometimes you get to see his face on TV when KPRC Local 2 stops by his studio to interview him about some hot topic that he’s discussing on his daily talk show. Over the years I’ve heard him use the airwaves to debate callers, and hold political candidates, elected officials, pastors and business leaders accountable for their actions. As a result, Harris has been threatened with boycotts, the loss of advertisers and people calling his boss demanding that he fire Harris. Regardless of the potential consequences to his professional career or personal livelihood, I’ve never seen Harris back down from a fight on behalf of the community. I doubt anything will change after he was honored on Tuesday.